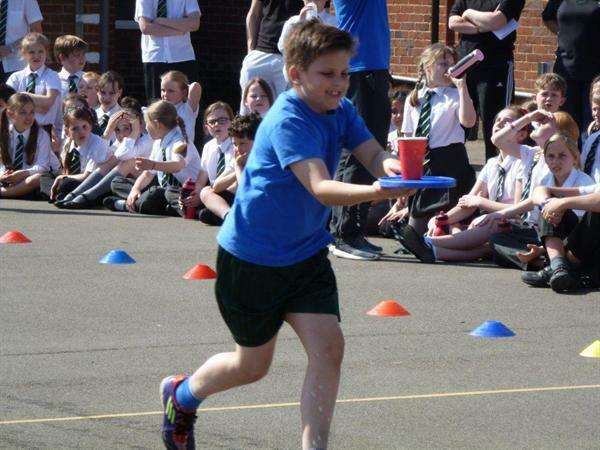 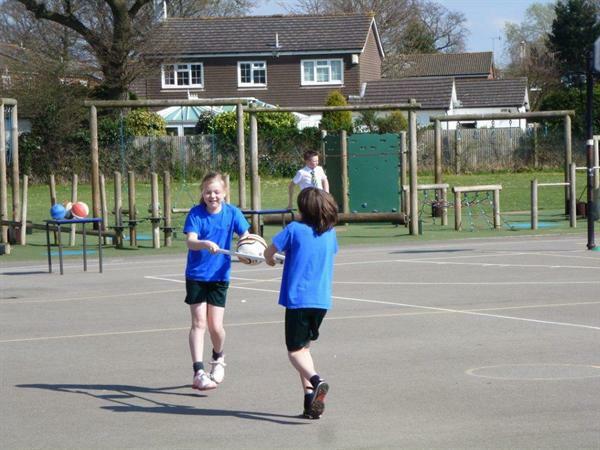 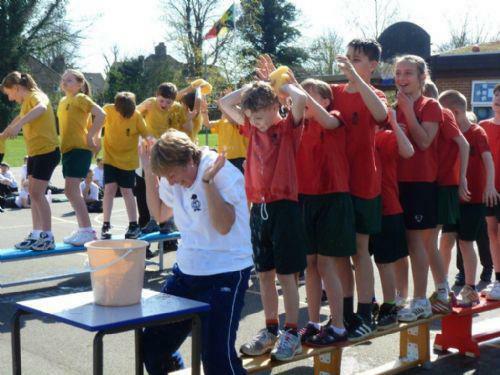 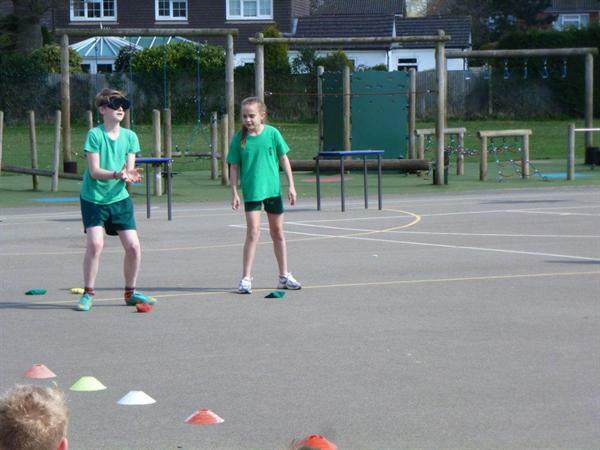 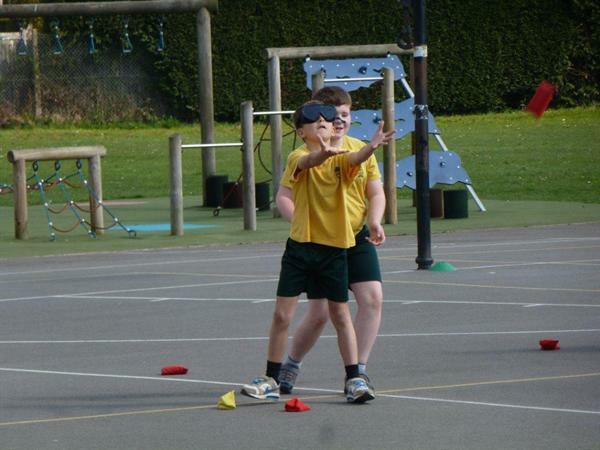 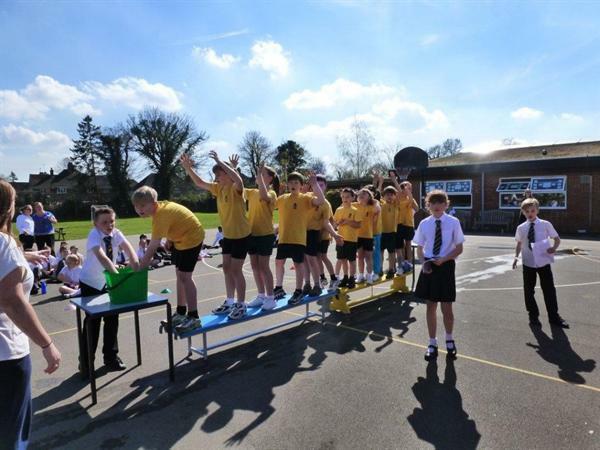 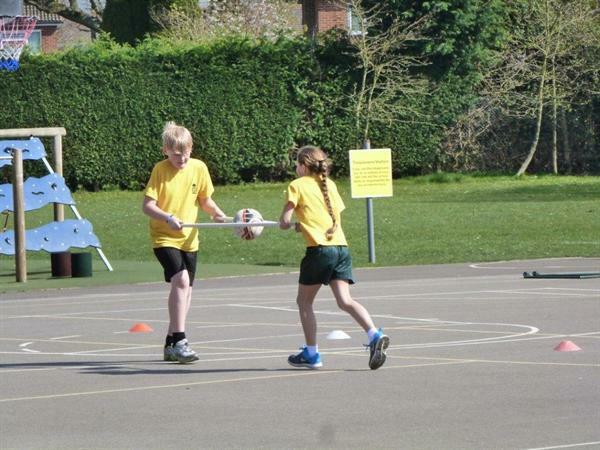 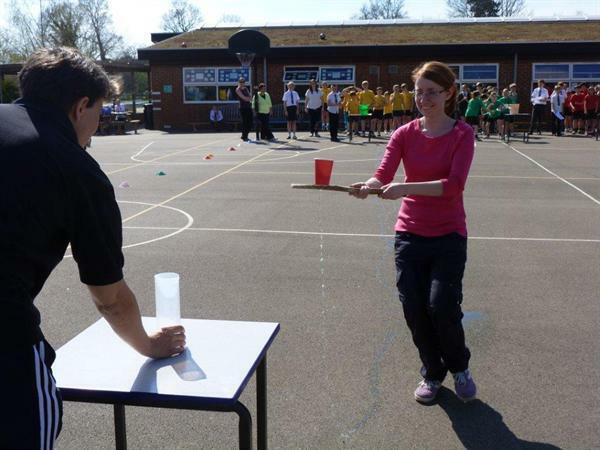 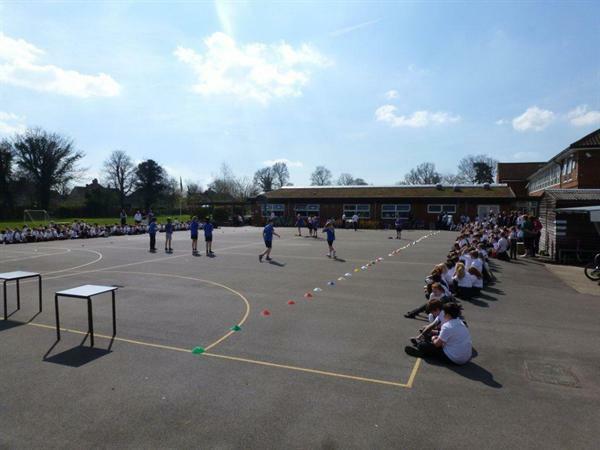 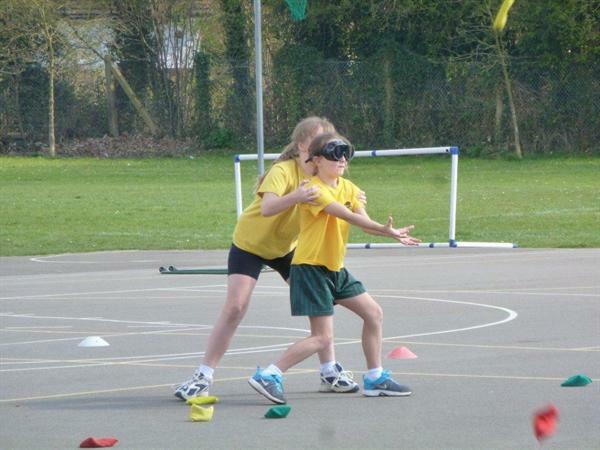 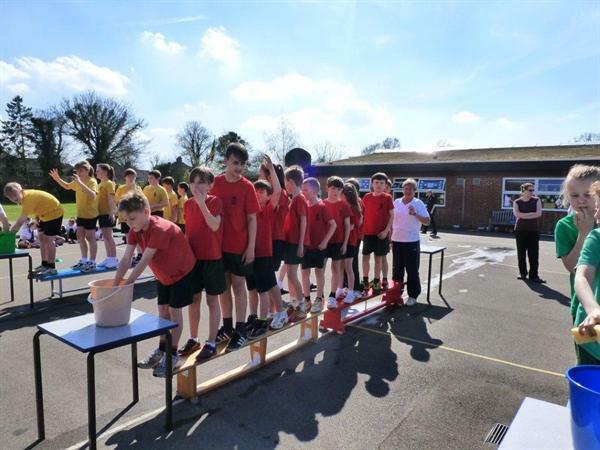 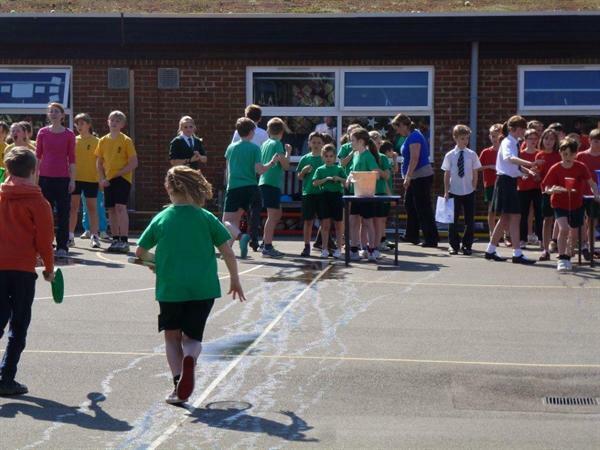 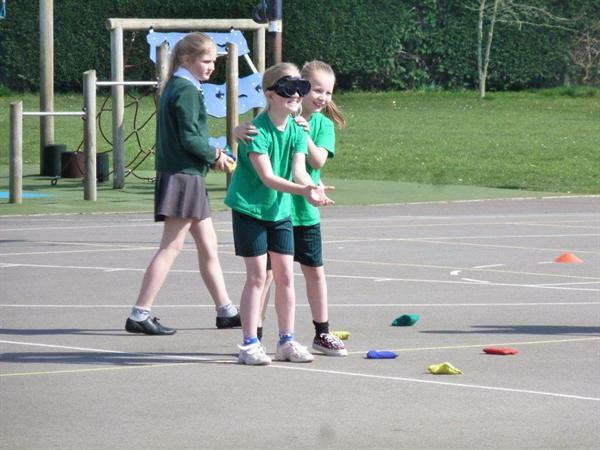 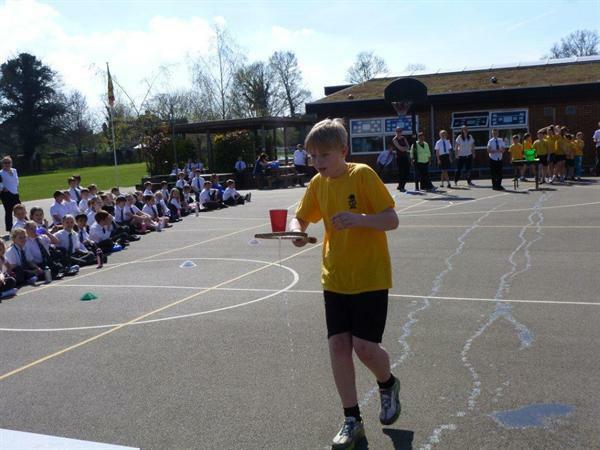 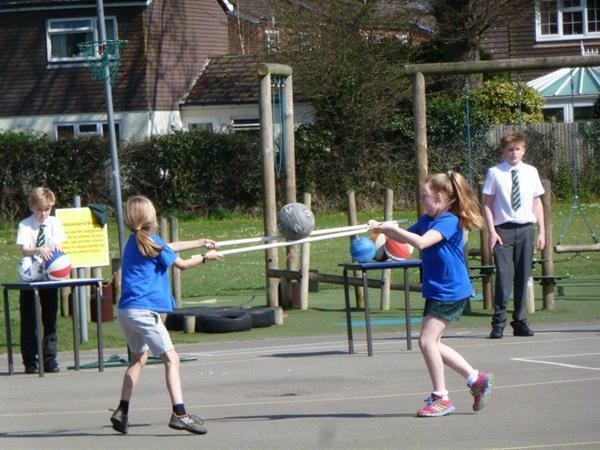 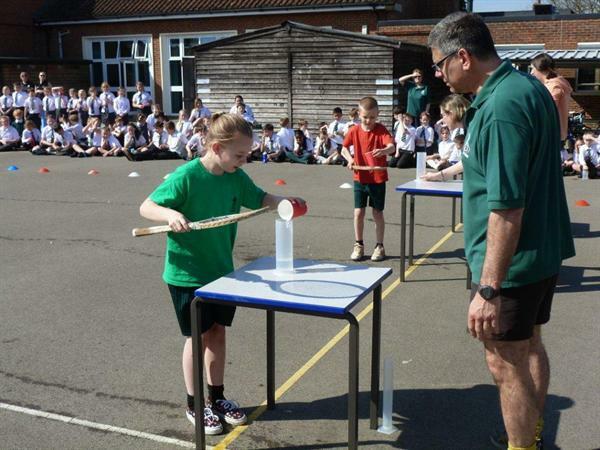 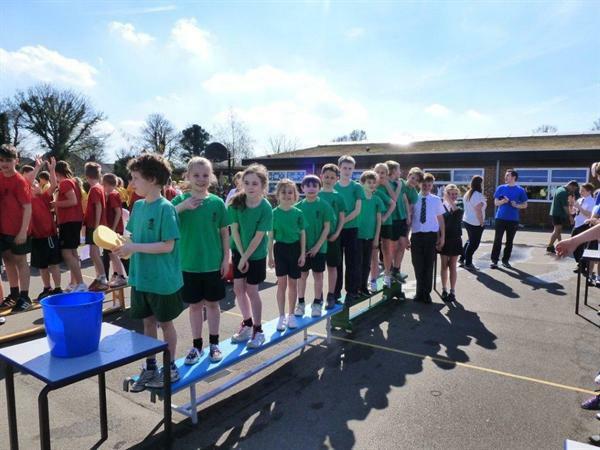 Fun in the sun was had by all when the school staged an ‘It's a Knockout’ competition. 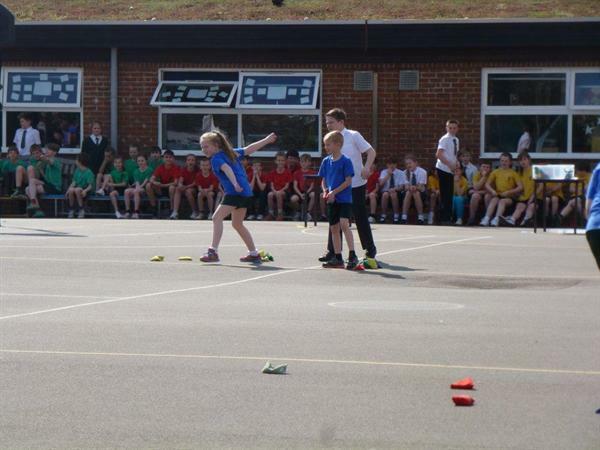 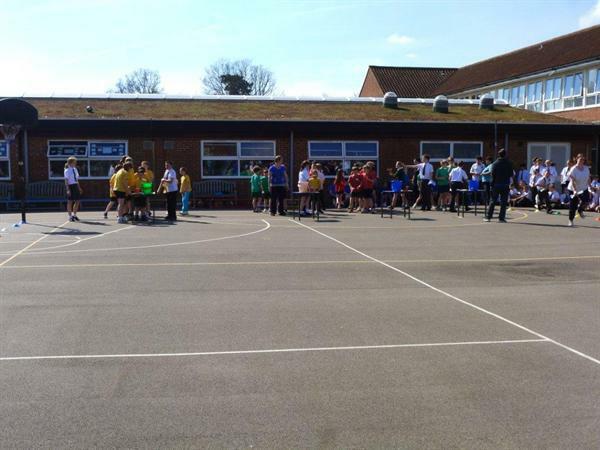 It was a great afternoon, watched by the whole school and ended up as a very close run contest. 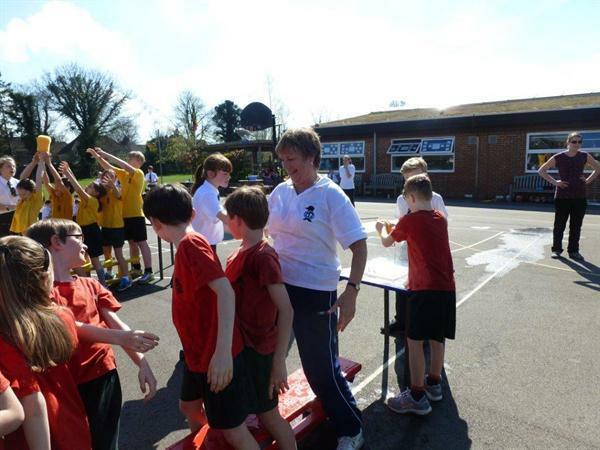 Jokers were played and fantastic fun was had especially with water. 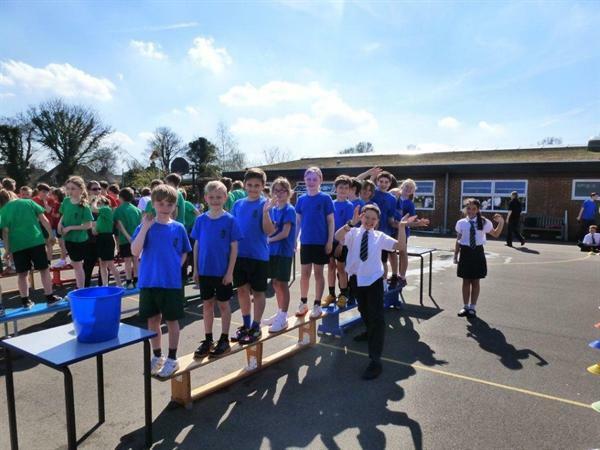 The final results were Joint 1st place - Cinderfield and Thunderfield, 3rd place Kinnersley and 4th place Benhams. 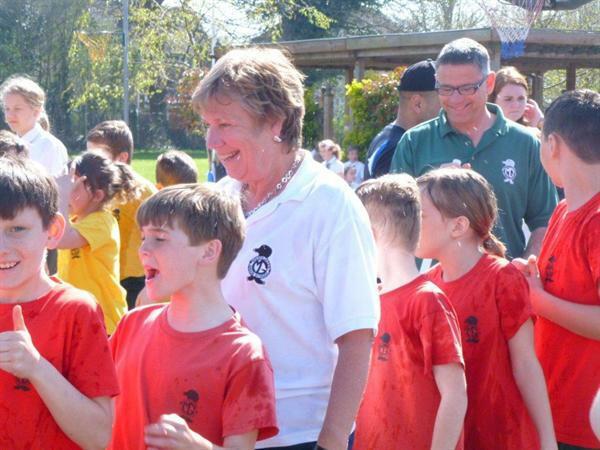 Most importantly Mrs. Hilton-Childs joined in with the last race and thoroughly enjoyed herself.